DIY — IS IT WORTH THE TRIALS AND TRIBULATIONS? Have you ever asked yourself “Who do these guys think they are?”. Why do they think they can charge you $95 an hour or even more!? I mean it’s not like they are attorneys or doctors! They aren’t working towards curing a disease or even helping you eat healthier! Why do these guys charge us so much money?! We have all done it. We just bought our latest cool gadget and don’t have time to put it on ourselves…so let’s head to our mechanic friend to have him do it! Which turns into “What? How much? But it shouldn’t take but 30 minutes to install…I watched a guy on YouTube do it in 28 minutes….”. 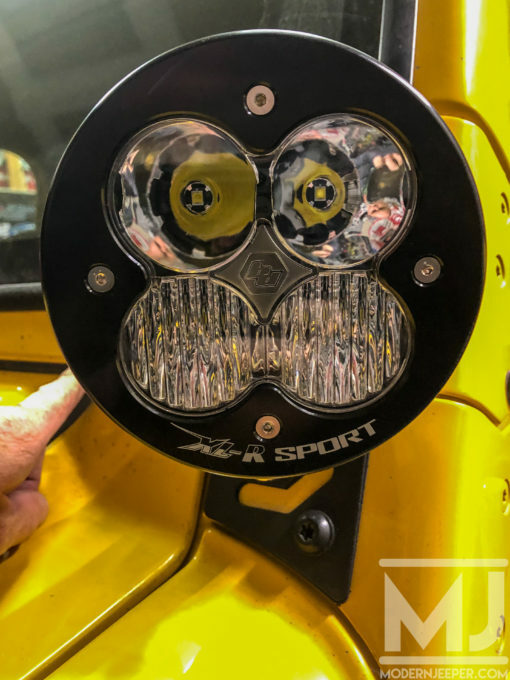 I purposefully bought some A-pillar light mounting brackets off of Amazon. Read some reviews and decided to spend a whopping $13 for the pair. 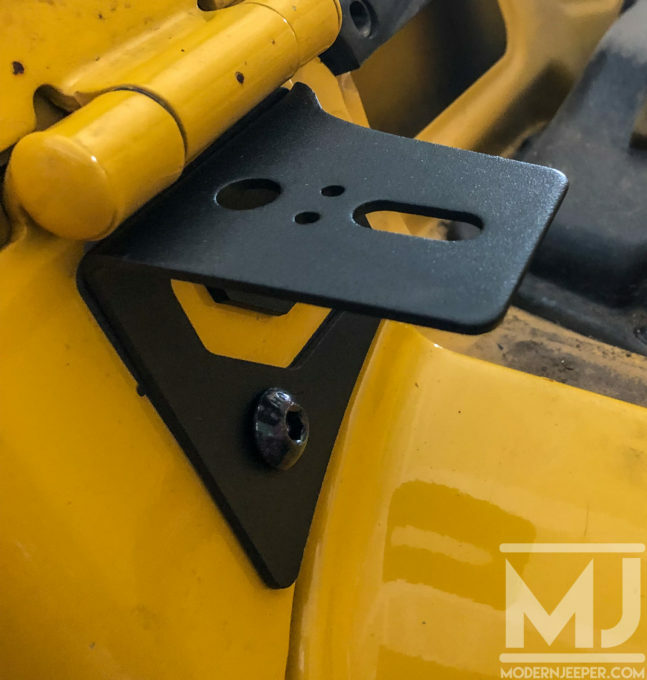 These brackets allow the Jeep TJ or LJ owner to mount a set of off-road lights to just below the fold down windshield hinges on the outside of the windshield frame on their rig. Perfect. I’ve also got a set of high dollar, high quality “I’ll be able to light up the moon” set of lights. 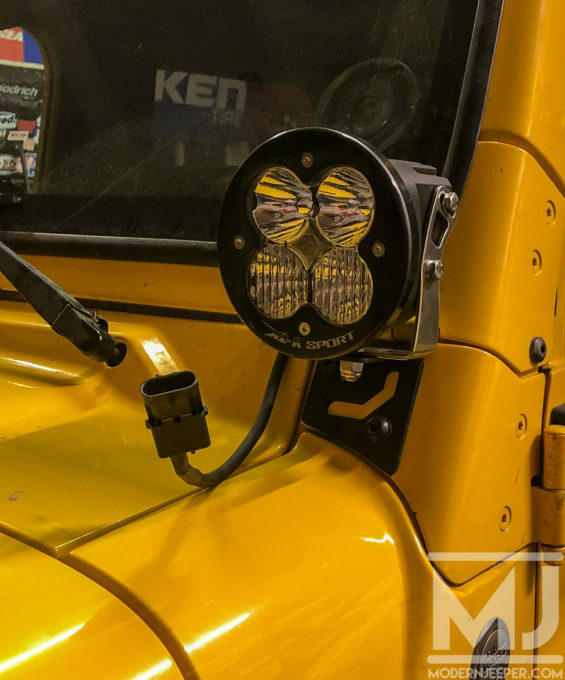 As folks that know me know, I’m not afraid to spend extra time and do a quality job…and this is just installing a set of lights. Pfffft…easy. 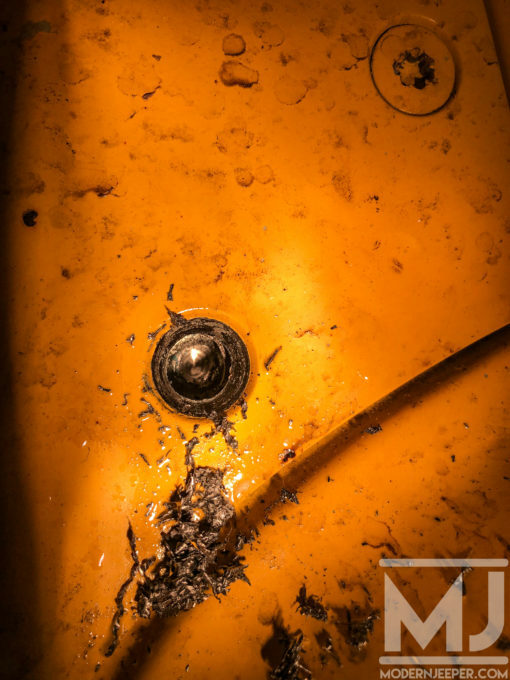 T-40 Torx bolt. 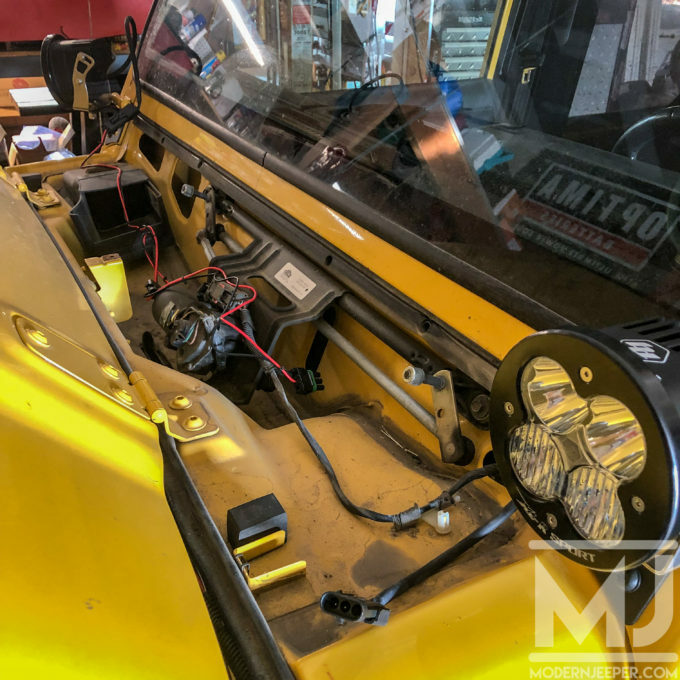 Also installed with blue thread sealant on this LJ. I have good tools. Hard tools. Harder than the Torx bolt…and I was careful, this not being my first rodeo removing these. After getting the drill out…. Easy peasey. I still might be done before lunch! 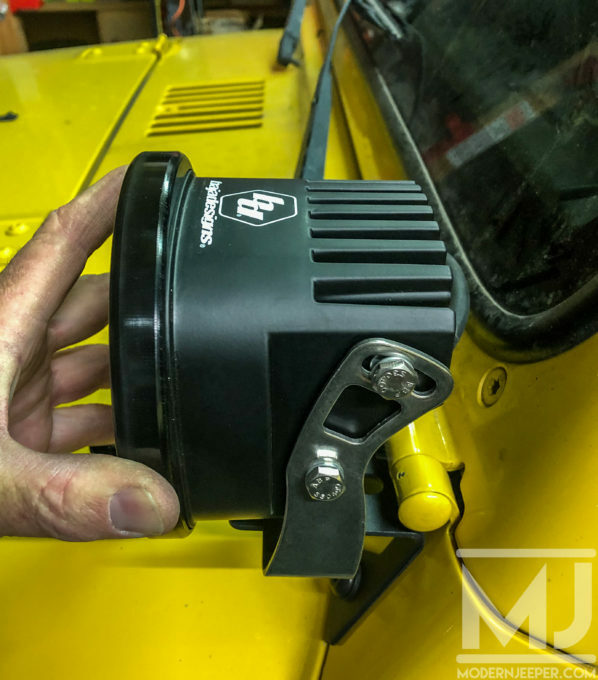 Get the brackets bolted up using a couple of longer bolts I had lying around and a light mounted to the bracket…. 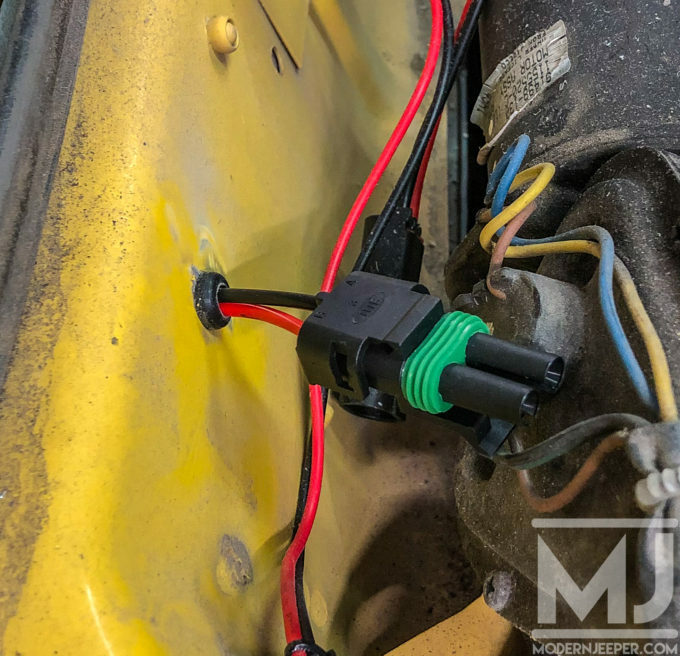 I drilled a 5/16″ hole and used a grommet to get wires into the engine bay. 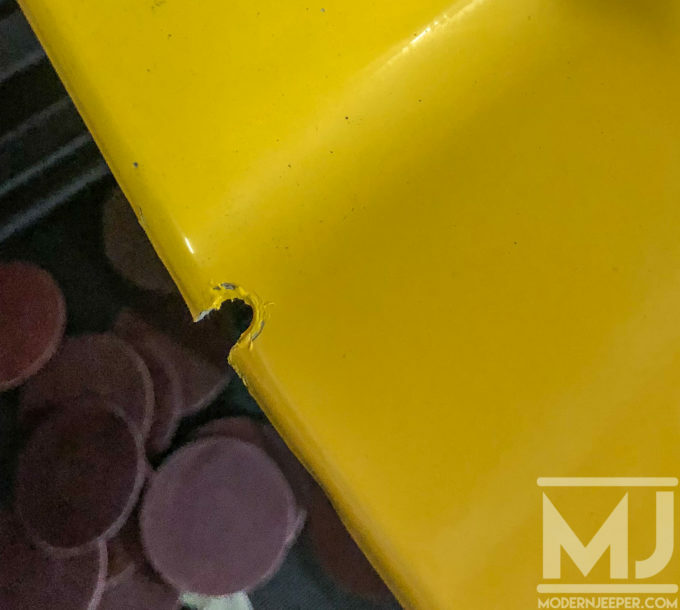 A hint for reinstalling the cowl cover: The weatherstripping that runs along the edge and separates the cowl from the engine compartment comes off. 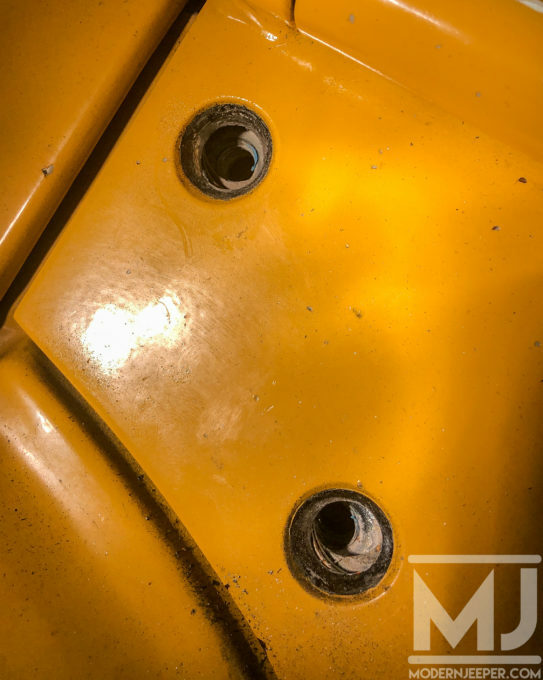 Pull it back into the engine area when re-installing the cowl cover plate to make things easier. 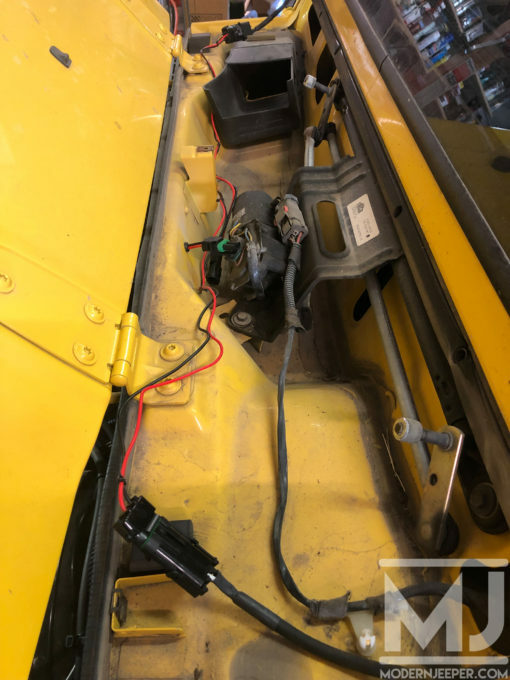 Its a simple 4 screws along the windshield, one in the vent area and two under the weatherstripping portion to remove and re-install. 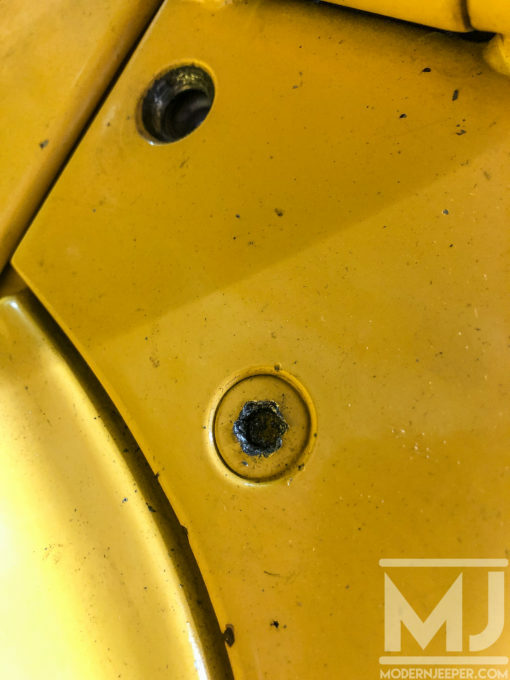 This is the mounting stud that was provided to attach the lights to whatever mount you chose. It threaded on just fine but once the nylock engaged, it began to cross thread. 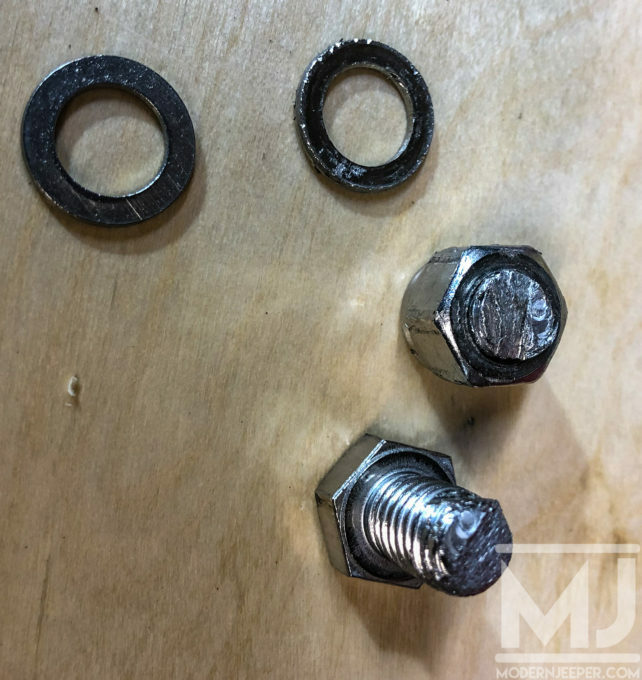 I continued to tighten it as the nut threads were fine…until the nut became too tight before engaging the bracket. No worries. I’ll nut back it off and find another bolt and nut…until the nut crossed up again on the way off. Ugh. A sawzall to cut the bolt in half was the only solution. A new bolt and nut made quick work of attaching the light to the new bracket. By the way, the $13 brackets were perfect and awesome. As I look at my watch it’s 3:00. I started at 10:00 am. 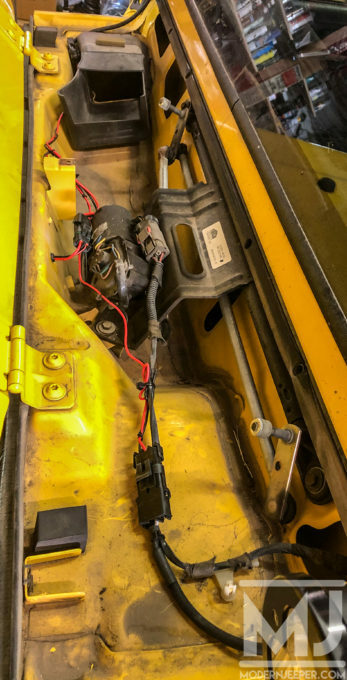 All I have left to do is wire them to the power port on the winch…but I think that I’ll call it a day for now. 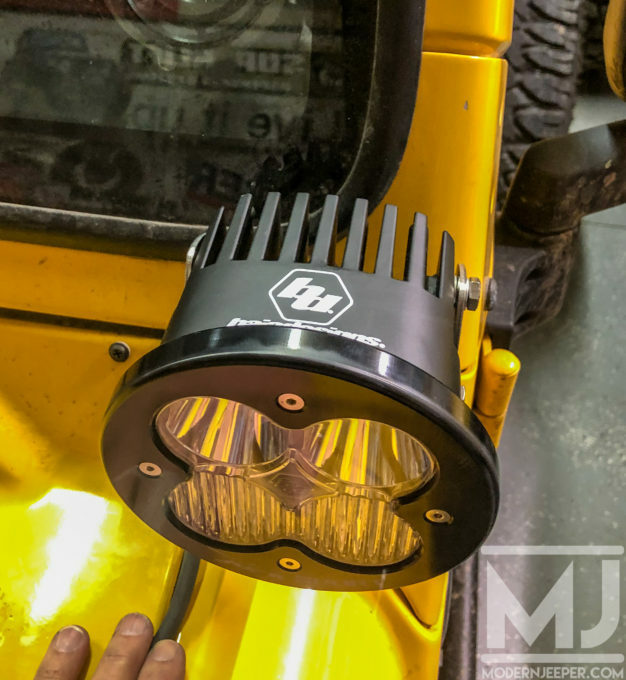 The next time your mechanic tells you it can cost between $1-$400 to install your lights….go with it…because he’s exactly right. 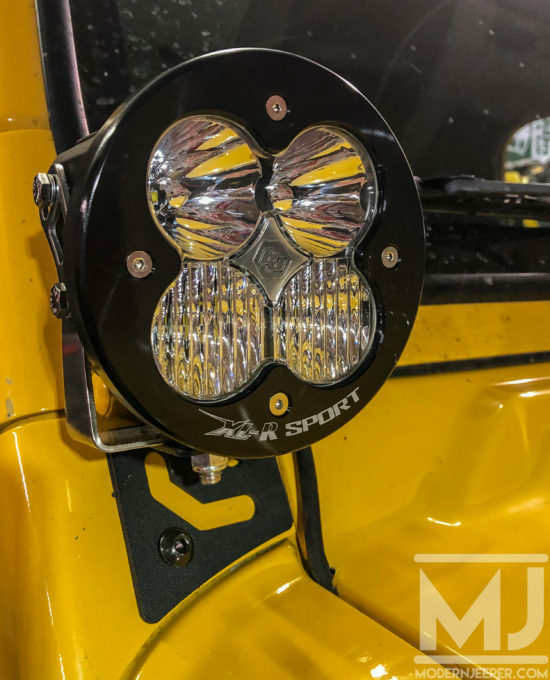 Stay tuned for part 2 where we power up these Baja Designs XL-R Sport lights through the Warn Platinum 10-S!